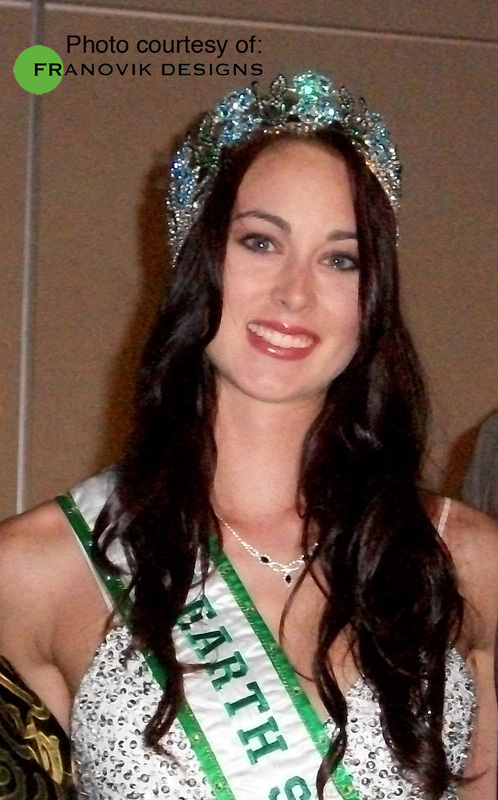 We met Aubry last year at Primm Valley, Nevada at the Miss Earth and Teen Earth United States national pageant. Aubry also lives in Florida, Southwest Florida to be exact, while we live in South Florida. Immediately, we fell in love with her and her family. Diana, her mom is an enthusiastic, dedicated and very involved mother. They go everywhere together, it's so nice to see the bonding of mother, daughter and the generations. What can I say about Aubry, besides very hardworking, smart, dynamic, and always cheerful. We have used and continue to use Aubry as one of our key models. She is one of the faces of FRANOVIK DESIGNS, MODELS&DESIGNERS magazine and MOTIVES cosmetics. This past Saturday, Aubry was the ultimate queen crowning both winners at the Miss Earth and Miss Teen Earth Florida pageant. It was a delightful evening, we judged the pageant and had alot of fun while there. It's a great feeling when you are surrounded by ladies with interesting points of views, (teens and miss). I remember when we were undercover judges at nationals last year. Aubry also had interesting points of views, an outspoken young lady with a purpose in life. We have been privileged to be around so many beautiful young ladies....Thank you Aubry for being the doll that you are and being a true friend. We are so proud of you!